You've likely heard of Viking River Cruises, thanks to its marketing and sponsorship of popular public television programs and radio networks. If you're considering a Viking cruise, you might also want to check out Vantage Deluxe World Travel, which offers a similar experience at a lower price point. While Vantage might not be a household name, the tour company has been around since 1983, offering river cruises in Europe and Asia, as well as small-ship cruises. Curious which line is better for you? Read on for our look at river cruising on Viking versus Vantage. As with all cruises, it's hard to compare Viking and Vantage on price, as fares can vary, depending on time of year and itinerary. Generally speaking, however, Vantage has a lower price on most of its cruises than Viking. We would classify both lines as middle tier, in terms of inclusions and amenities. Neither cruise line includes gratuities in its price. Choose Viking if you might reschedule your trip. Viking asks for a $500 deposit and full payment within 90 days before you sail; however, the line's most common promotions require full payment when you make your reservation. Lest this sound risky, keep in mind that Viking has the most ships on rivers in Europe, so there's a lot of choice if you need to change itineraries or reschedule your trip. Vantage also charges higher cancellation fees than Viking does. Choose Vantage if you prefer to book direct or are part of a large group. Vantage encourages passengers to book directly with them, instead of using travel agents. The line also encourages groups to book, and gives the organizer free travel if more than eight passengers sign up. Vantage offers a refer-a-friend cash rewards program, where passengers can earn between $100 and $200 for each newbie they bring onboard. As perhaps the best known of the European cruise lines, at least by Americans, Viking River Cruises draws a diverse nationality base. Most cruisers range from late 50s to 70s, skewing slightly younger during the Christmas Market season. While Vantage started out catering primarily to Americans, the company has branched out and now actively recruits English-speakers in the U.K. and other countries. The line has also traditionally drawn those of retirement age. It offers occasional Vantage Family Adventures river cruises, open to children ages 8 and up. The trips are planned during summer and holidays and feature a family welcome reception, activities for tweens and teens, a dedicated host for families, kid friendly menus, complimentary travel journals and visits to schools when appropriate. Both Viking and Vantage include daily shore excursions in their prices. 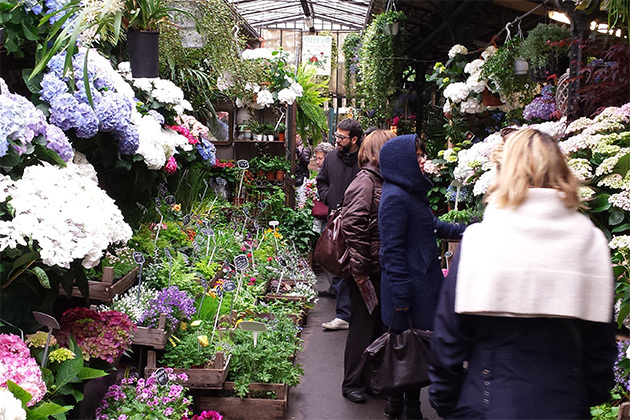 On both lines, you'll take walking and coach tours of cities, castles, wineries and the scenic countryside, with local guides. Both lines also offer a few optional excursions, for a fee. Tour groups are about the same size. Vantage has bicycles to use in port, and Viking has added bike tours to its list of excursion choices in 2018. In this category, Viking comes out ahead, simply because it has more river ships than anyone else, with multiple vessels on each itinerary. The line has 51 Longships that ply Europe's rivers, with seven more coming in 2019. In addition, the line has multiple ships on the Douro and the Elbe, the latter specially designed to counter that river's notoriously low water levels. Vantage has four of its own ships, so the overall capacity of the company is much less. It charters ships on the Douro and more exotic sailings. While many of the rivers sailed are the same, it's harder to get the exact voyage at the exact time you want it. Both ships sail the Seine, Rhone and Saone, Rhine, Danube, Main, Mosel, Mekong, Yangtze in China, Russian and Dutch waterways. 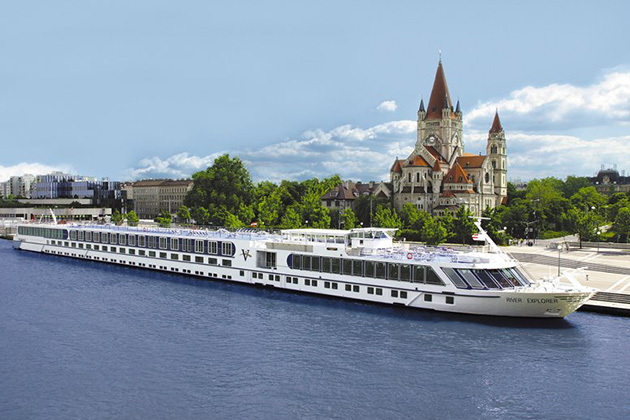 Viking has Bordeaux, Ukraine and Egypt itineraries, all with its own ships, while Vantage charters a vessel on the Irrawaddy in Myanmar (Burma). Both lines do Christmas market cruises. Viking has an entire ocean cruise fleet that circles the world, and some itineraries will shuttle you between river and ocean ships for a comprehensive vacation. Vantage charters small ocean ships for itineraries in Iceland, the British Isles and Norway. The cabins on both Vantage and Viking are up to date and modern, with hotel-style amenities such as complimentary Wi-Fi, flat-screen TVs with entertainment on demand, safes and hair dryers, upscale products in the bathroom and plenty of storage. Bottled water and fresh fruit are complimentary and provided in each cabin. Viking Longships carry 190 passengers and have 95 cabins. Cabins with French balconies are 135 square feet and standard cabins with a true balcony are 205 square feet. Lower-deck rooms, which have a window, are 150 square feet. 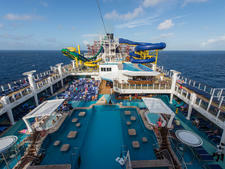 The ships are 443 feet long. Vantage's ships vary in size, but most ships carry 176 passengers and have 92 cabins -- 78 percent with French balconies. On its newest ship, standard cabins are 170 square feet; on older vessels, they're 165 square feet. Lower-deck window cabins are 165 square feet. The length of the newer ships is 442 feet long, which means there are slightly fewer people per foot on Vantage than there are on Viking. 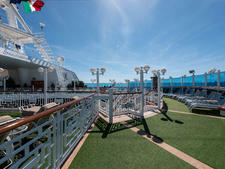 Both Viking and Vantage have suites available on their newest ships. Vantage Owner's Suites are 330 square feet and Deluxe Suites are 250 square feet. Viking suites are larger; the seven Veranda Suites on Longships are 275 square feet while the two Explorer Suites are among the largest on river ships, at 445 square feet. Choose Viking if you like real balconies. If actually stepping out on a balcony is important to you, you'll want to go with Viking. Vantage only has French balconies. Choose Vantage if you're traveling alone. Vantage makes an effort to court single sailors by having solo accommodations on each of its ships. If you don't nab one of those rooms, which are 125 square feet, single supplements are often reduced. There's also a roommate-matching program. Viking and Vantage both have similar types of dining on their ships. Both lines serve buffets at breakfast and lunch, along with made-to-order items off the menu. Both also have one set time at dinner, usually at 7 p.m., where you sit at larger tables with other passengers. In addition, the ships on both cruise lines have more casual alternatives onboard, should passengers want a lighter, less formal meal. On Vantage's newest ship, River Voyager, the Cotton Club Lounge has floor-to-ceiling windows and a retractable glass roof for alfresco dining at lunch and dinner (the latter by reservation). On River Splendor, this is known as Captain's Club. Viking pioneered the alfresco alternative dining concept on river ships with the Aquavit Lounge. It, too, is open to the air in nice weather and has lighter breakfast, lunch and dinner. 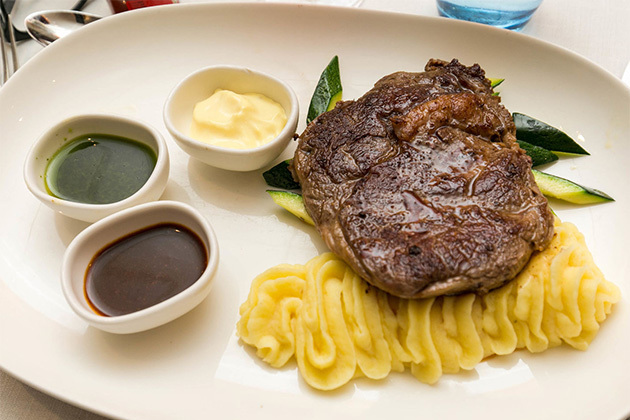 Viking includes wine, beer and soft drinks at lunch and dinner. On Vantage, alcoholic drinks are only included at dinner. Neither line has formal nights or room service, although if you're feeling poorly, you can usually get broth delivered to your room. Dress on both is country club casual. Both lines have enrichment activities and lectures that focus on the destinations visited. On either cruise, you might spend an afternoon having French lessons while your vessel sails between ports. Or you might hear a folk music ensemble one evening while docked. Cruises on both Vantage and Viking are designed to be destination intensive, which means you won't find a lot of extras such as casinos or pools. Neither ship is designed for families; in general, the passenger age on a Vantage ship is older than Viking, as the line markets to those 55 and older. iPads are available for use on Vantage. Vantage ships have small fitness rooms with a treadmill, stationary bike and free weights. On River Voyager, Vantage has a massage room available for treatments. Viking Longships do not have spas or fitness facilities onboard, but concierges can arrange such services while you're in port. Both ships have walking tracks on the upper deck. The best way to decide between Viking and Vantage is to take a good look at the specific itinerary you are interested in, and compare rates and sail dates, as well as your personal preferences in terms of onboard amenities. 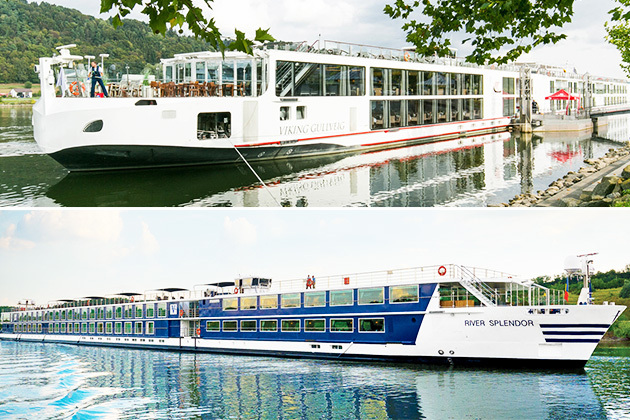 Both lines offer a nice introduction to river cruising at a more reasonable price than other cruise lines.